E-cigarette: what is true and what is not? E-cigarettes are a success story around the world and have quickly become popular in Estonia. Like with any novelty, there are many misconceptions and scary stories around. They are! Some Estonian doctors believe that smoking an e-cigarette is not a good way of mitigating health damage. For example, neurologist Andrus Lipand says that "falling from the eighth storey is no less dangerous than falling from the twelfth". On the other hand, Director of the European Institute of Oncology, former Italian Health Minister Umberto Veronesi has said that if all smokers would make the transition to vaping, it could save 500 million lives across the globe. According to a panel of international experts (Karger, European Addiction Research Vol. 20, No. 5, 2014), regular cigarettes are far more dangerous than e-cigarettes: the combined risk rating of regular cigarettes is 100 points compared to the mere 4 points of e-cigarettes. "I am convinced that e-cigarettes with nicotine are notably less harmful than regular cigarettes. Tobacco smoke contains about 4,000 chemicals whereas e-liquid contains only about twenty substances known to be present in tobacco smoke and their concentrations are up to 450 times smaller," says the e-cigarette specialist, representative of the Nicorex brand, Sven Kotke. He underlines that vaping does not emit carbon monoxide, i.e. carcinogenic tar, because there is no burning process. It is true that long-term health studies have not been conducted yet because the e-cigarette has not been on the markets long enough, but the current knowledge allows concluding that the health effects of e-cigarettes are far from those caused by tobacco smoke. 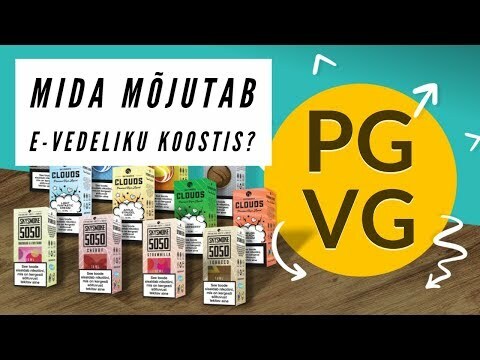 The participatory experiment by Ekspress in cooperation with the Pricate Clinic Qvalitas indicated that replacing smoking with vaping improved the journalist's health. Unfortunately, instead of approving of e-cigarettes, several healthcare activists have started to criticise them without any scientific justification. They are bothered by the mere fact that vaping "resembles" smoking. A large number of people criticising e-cigarettes claim that it these tempt the minor into smoking. It is a fact that major e-cigarette distributors, including eCig Group OÜ trading as Nicorex, prohibited the sale of e-cigarettes in their stores to individuals below 18 years of age long before such restrictions were officially required. "We completely agree that e-cigarettes should be prohibited for the minor. Likewise, vaping in public transport or other public places where it could disturb others should be strictly prohibited," says Toomas Viilo, a Member of the Management Board of e-Cig Group OÜ. The legislation which prohibits the sale of e-cigarettes to minors, their use by minors as well as the advertising of e-cigarettes is being drafted in Estonia. Some argue that e-cigarettes are the gateway to regular cigarettes. According to Kotke, the reality is quite the opposite: e-cigarette is an effective tool for quitting regular cigarettes or reducing smoking. For a while, people were complained about e-cigarettes being smoked in schools, but there is a simple solution for this problem as demonstrated by Hendrik Agur, the Director of Gustav Adolf Upper Secondary School. He recommended that all schools supplement their internal rules with a paragraph which prohibits e-cigarettes. According to him, it takes only 15 minutes. Andres Lipand who represents the Association of Doctors says that the manufacturers have not designed the e-cigarettes for quitting regular smokes. This is not true. The Chinese pharmacist Hon Lik who invented the modern commercially available e-cigarette launched it as a product for quitting smoking or replacing regular cigarettes. "We often see visitors in our shops who have smoked for decades and are switching abruptly to e-cigarettes. They tell how the forgotten sense of smell is restored, coughing stops and stamina is regained - stairs no longer pose a difficulty," says Kotke. According to him, there is no doubt that e-cigarette is an effective tool to quit smoking. Thousands of people support this argument in Internet fora relating to e-cigarettes. Usually they make gradual progress towards liquids with smaller nicotine content until, finally, they vape nicotine-free liquids, and this can be stopped as well because vaping nicotine-free liquids is not addictive. Even if e-cigarettes only help to cut back smoking, it is a step towards healthier lifestyles. Today, e-cigarettes serve a number of functions: quitting, replacing or reducing smoking. In many organisations, ignorance could lead to the inclination towards prohibit vaping completely or require them to use the smoking room. This is not right because by inhaling tobacco smoke the vapers damage their health just like any non-smoker. E-cigarettes emit primarily aromatised water vapour because most of the nicotine remains in the vaper's body. Others are not exposed to health risks from passive smoking like in the case of regular cigarettes. "However, it is not okay to puff e-cigarette vapour in the face of others, and vaping indoors too close to others could disturb them - therefore, one should act responsibly," notes Sven Kotke, representative of the Nicorex brand. He thinks that the private sector could have the right to decide whether and where to allow vaping. Research the US National Center for Biotechnology Information (NCBI) confirms that vaping emits very little side products compared to smoking and that these are not hazardous to human health. The researchers concluded that there is no measurable risk of cancer. In contrast, according to the research, passive inhaling of tobacco poses a considerable risk of cancer to bystanders. Narrow-minded politicians have tried to classify e-cigarettes as being equivalent to tobacco or medicinal products although they are neither. E-cigarettes do not contain tobacco and the vaper does not burn tobacco. "However, we do agree to limiting the advertising of e-cigarettes so as not to tempt the minor," says Toomas Viilo. This is required by the new Tobacco Directive. E-cigarettes should not be classified strictly as medicinal products because that would limit their sale only to pharmacies. " This would limit the selection and availability of e-cigarettes, raise their price and represent an unjustified donation to two monopolistic pharmacy chains who could divide the market between them," criticises Kotke. "Why should the availability of e-cigarettes be notably compromised compared to regular cigarettes?" he asks. The European Parliament decided not to classify e-cigarettes as medicinal products but the Member States, incl. Estonia, may still opt to do so. At the moment, an EU-wide citizens' initiative is making progress to classify e-cigarettes as general purpose recreational products rather than medical devices or tobacco products, irrespective of their nicotine content. The initiative has collected more than 70,000 signatures on the web. "By opting for the e-cigarette, vapers make a mature, responsible and private decision. This helps them quit or cut back the habit which annually accounts for hundreds of thousands of deaths in Europe," states the manifesto of the initiative. "Hands off of free vaping!" Some people have developed the false belief that e-liquids are deadly. The number of emergency calls related to swallowing of e-liquids has increased in the USA. In fact, administration of e-liquids can not kill because ingestion of nicotine-containing e-liquids induces acute vomiting which is an automatic defensive reaction of the human body. Only one person in the world has ever died due to e-liquids - he committed suicide by injecting it into the vein as ingesting did not kill him. Ingestion of nicotine-containing e-liquids is certainly not recommended or good to your health, but it does not kill. "Needless to say that it is essential for parents using e-cigarettes to keep the devices and e-liquids out of reach of children," says Sven Kotke. If a small amount of e-liquid has been ingested, it must be spat out and mouth well rinsed. If vomiting occurs, it means that the body has cleansed itself and there is no need to do anything else than wipe off the liquid. According to the Tobacco Directive adopted by the European Parliament, e-cigarettes can be freely marketed. The only restriction is the nicotine content of e-liquids which must not exceed 20 mg/ml. "This is reasonable because the usual liquids contain less nicotine than the said limit," noted Toomas Viilo. E-cigarette products may not be sold to persons younger than 18 years. The packaging must feature a warning about the health risk (nicotine). The sellers must provide a list of all ingredients of the product. eCig Group trading as Nicorex in e-cigarette products was doing this already before the decision adopted by the European Parliament. 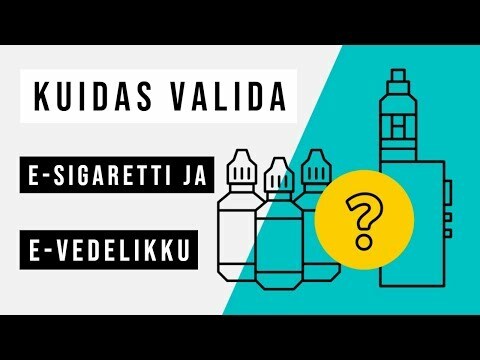 Regardless of the European Parliament's Directive (which the Member States need to transpose), a Regulation of the State Agency of Medicines is applicable in Estonia which provides that nicotine-containing e-liquids (over 1.5mg or nicotine concentration in product over 4mg/ml) are medicinal products which may be sold only in pharmacies. Special permits are required for importing and exporting medicinal products. There are no nicotine-containing e-cigarette liquids in Estonian which have a marketing authorisation as these are extremely expensive. According to Toomas Viilo, this amounts to suppression of the market because nicotine-containing e-liquids can be ordered from other EU Member States. "For instance, Nicorex has a branch and web shop in Latvia," notes Viilo. 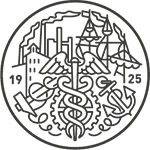 The State Agency of Medicines is of the opinion that these should be available for order only on official web sites of pharmacies provided that the medicinal product conforms to the marketing authorisation valid in Estonia. However, this requirement has little legal basis given, for example, the principle of free movement of goods – one of EU's fundamental principles. The State Agency of Medicines has lost several litigations due to its excessive restrictions. Member of the European Parliament, Indrek Tarand has said that the inactivity of Estonian authorities is ill-founded. "You could say that it's not reasonable to hurry, but meanwhile the consumers might be putting their health at risk by ordering goods with unknown composition, plus the government's tax revenue is smaller and business is being restricted, if e-cigarettes cannot be sold without applying for an overly expensive marketing authorisation which, in addition, is a time-consuming process," says Tarand. Sven Kotke admits that it would be wise to stay away from cheap e-liquids of questionable quality and prefer well-known trademarks which might be a bit more expensive. He gives an example: "Currently, it is common for doctors to argue that no-one knows the long-term effects of the drying of mucous tissue." "Nicorex is a pioneer in this field because we have eliminated this problem for our liquids. Nicorex e-liquids are the only ones in the world which contain essential oils that moisten the mucous tissue and prevent them from drying," adds Kotke. • E-cigarette is a modern gadget consisting of a battery, a heating coil, a vaporizer called an atomizer, and a mouthpiece. The battery provides current, the heating coil turns the e-liquid in the atomizer into vapour which is then inhaled through the mouthpiece and puffed out as smoke. People have started to call it vaping. An e-cigarette generates smoke but does not stink and its aroma dissolves in seconds. • E-liquids contain glycerine which is an ingredient of food products, and propylene glycol which is used, for example, at parties to generate smoke by fog machines, as well as various flavours. An e-liquid might be nicotine-free or have low or high nicotine content. • The e-cigarette was patented in 1963 although the idea has been around already since the 1920s. However, industrial manufacture of e-cigarettes began much later. In China, the sale of new type of e-cigarettes began in 2004 whereas in Estonia the next generation e-cigarettes have become popular over the last few years. According to Sven Kotke who represents the Nicorex brand, each month welcomes several hundreds of new e-cigarette users whereby most of them is looking to cut back smoking or replace it with a healthier alternative. • In 2008, only 50,000 e-cigarettes were sold across the globe whereas in 2012 already 3.5 million. Bloomberg's analysts predict that this year the turnover of e-cigarettes reaches USD 1.5 billion and in 10 years it could outgrow the tobacco industry.